Released in 1998, Encoded Archival Description (EAD) has enabled archivists to publish standardized Internet-accessible finding aids. EAD has also provided the archival community with the opportunity to gain a better understanding of emerging technologies and standards and the opportunities presented by them to transform and enhance archival description. The course will focus on the design of archival descriptive systems by exploring markup and database technologies, the International Council on Archives’ (ICA) standards, and the related communication standards. This course is aimed at technologists, archivists, and librarians that either are or are contemplating designing and implementing an advanced archival descriptive system, and individuals interested in archival description theory. This course will explore in detail markup and database technologies, efforts underway to integrate the two technologies, and the opportunity provided by this integration for transforming archival description. Students will then read and discuss the ICA standards ISAD(G), ISAAR(CPF), ISAF, and ISIAH, and the interrelation of the four standards to form a complete archival descriptive system. Students then will explore the complementary communication standards EAD, EAC, EAG, and the potential for developing a communication standard for ISAF. Finally, the students will develop an archival description system implementation model based on markup and database technologies. While the course will have some hands-on components, the objective will be to develop a conceptual model of a complete archival description system. Applicants must have a good knowledge of archival descriptive practices as well as experience using either markup or database technologies. In their personal statement, applicants should indicate their relevant archival background, the extent of their previous experience with computers in general and EAD in particular, and describe their role (present or future) in the implementation of archival description systems in their home institution. Daniel Pitti taught this course. 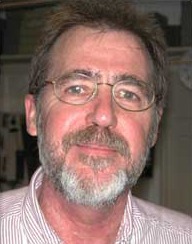 Daniel Pitti became Project Director at the University of Virginia‘s Institute for Advanced Technology in the Humanities in 1997, before which he was Librarian for Advanced Technologies at the University of California, Berkeley. He was the Coordinator of the Encoded Archival Description initiative.